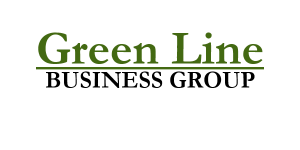 Green Line Business Group (GLBG) is a software development company dedicated to creating innovative, lightweight mobile applications. Our focus with these apps is to create and connect trusted networks of individuals and organizations to address currently unmet communication needs of healthcare, campus security, non-profits and the individual. Danio Diary (DanioDiary.com) enables an individual the opportunity to record and share sensitive information about themselves to be securely yet easily disseminated to their care network of trusted recipients (e.g., family, friends, doctors). Danio Connect (DanioConnect.com) harnesses, directs, and publicizes the efforts of both non-profits and for-profit businesses associated with healthcare and socially beneficial causes, and provides a trusted resource of information for individuals and their families. Eye Need a Witness (EyeNeedaWitness.com) increases an individual’s safety & security by enabling them to anonymously request nearby users to come to their aid.